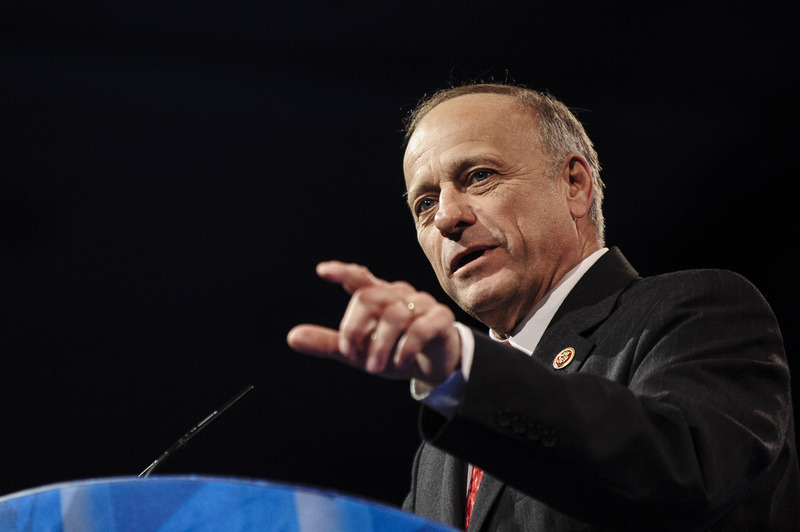 Rep. Steve King (R-IA) says global warming hasn't been proven, but if it's happening, it's not all bad. While speaking to a conservative group in his home state of Iowa, King said global warming is "more of a religion than a science," according to The Messenger. "It is not proven, it's not science," King said of global warming to the Americans for Prosperity. But, if global warming is happening, King thinks the environmentalists need to see the positives. "There will be more photosynthesis going on if the earth gets warmer. And if sea levels go up four or six inches, I don't know if we'd know that," he said. So, there's that. King said he was unsure if measuring the sea level was a good indication of global warming. Instead, King is focusing his attention on Obamacare and the deficit. He also plans to investigate whether Obama has illegally borrowed too much. "We might find out in a month or two that [Obama has] already been borrowing more than he has the legal authority to do. It's a question to ask. I haven't confirmed it," King said.